Breaking news about video game "For Honor". Much can be told about one of the most awaited video games “For Honor”. It is the game, which stand out because of perfectly made storyline, breathtaking graphics and realistic characters that lives for one purpose. To be more precise, this medieval warfare For Honor video game has already received a great interest and today can be recognised as the most promising one. If you already read most of the articles we published, you might notice we give quite a big attention to this video game storyline. As the game itself seems to be very impressive, its For Honor gameplay is something unbelievable! First and foremost, just think what kind of games we had two or five years ago. In short, they provide us with a great joy, however their visualizations and the special effects were quite ridiculous. Thanks to new technologies and this game developers, two months after we will have an opportunity to try one of the most realistic and fascinating games from all. Want to be first to know the most exciting For Honor news? Continue reading. Contrary to what you might think, For Honor is entirely tied to internet connection and cannot not function in any other way. The main reason that influenced such a decision, was ability to control, update or change the game in the most easiest way. If you still have no clue what we are speaking about, just continue reading. Actually, games who require online connection can be improved from the distance. In the other words, in order to have improved or updated game, players will not have to buy a completely new edition, since all the changes will be done in an hour or maybe less. To tell you the truth, we sincerely believe that such a decision make the game run easier. First and foremost, no one could even expect to see such a great and inspiring characters as Ubisoft Montreal has presented already a year ago. Vikings, Knights and Samurai. These are the main factions which in particular surprised by their uniqueness. More specifically, despite the fact the game is based on these three different factions, there will also be four additional classes of For Honor that each stand out by different skills and capabilities. However, what is really interesting, such a choice of characters is super intriguing. One the one hand, the game kind of presents a world, where only three nations dominate. On the other hand, it perfectly combines the most militant nations, who are ready to lose their live in order to feel the taste of victory. However, we still have one question. Who will be the leading ones? 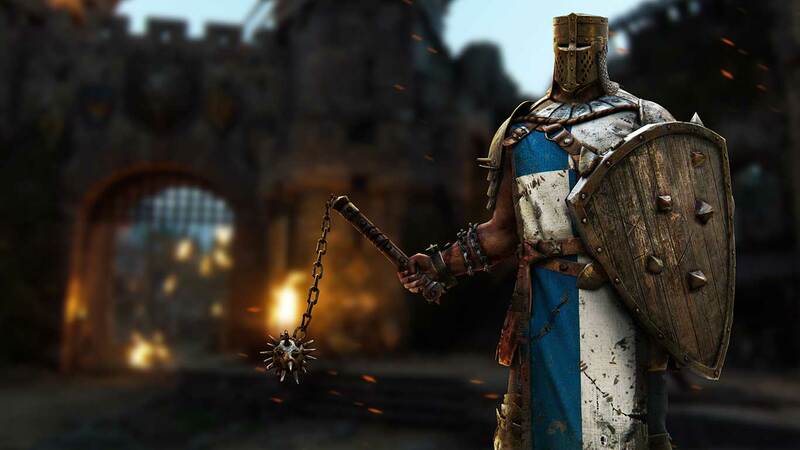 According to the developers and For Honor latest news, it all depends on the strategy that certain player chooses to use while playing with one or another faction. Even though, For Honor is known as hack-and-slash video game, it can grab your attention by one hundred percent. Why we say so? Mostly, all similar content games are based on killing your enemy as soon as possible, without using any special movements or powers that would kill your enemy best. When you will face the very first battle in For Honor, you will understand what we were talking about. More precisely, you won’t be able to win any fight by tapping the attack button. In this war, you will have to think of the best strategy, choose the most reliable fighters and realize, which For Honor weapon will bring more benefits. Not to mention, considering For Honor game news that was published a week ago, this game requires to know two things. The battleground you will be fighting in and of course your opponent. To make you understand better, knowing your enemy means following their tactics, movements and fighting style in general.